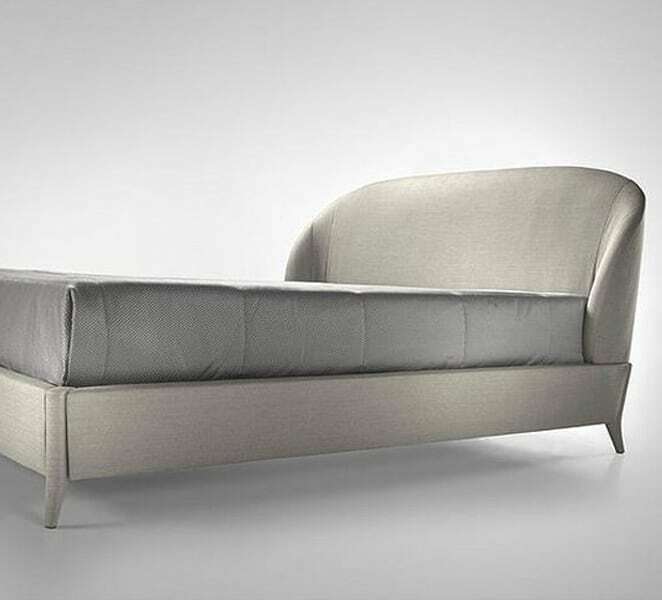 Art deco style bed with black lacquer, murano platinum glass, sycamore fillet and brass accents. 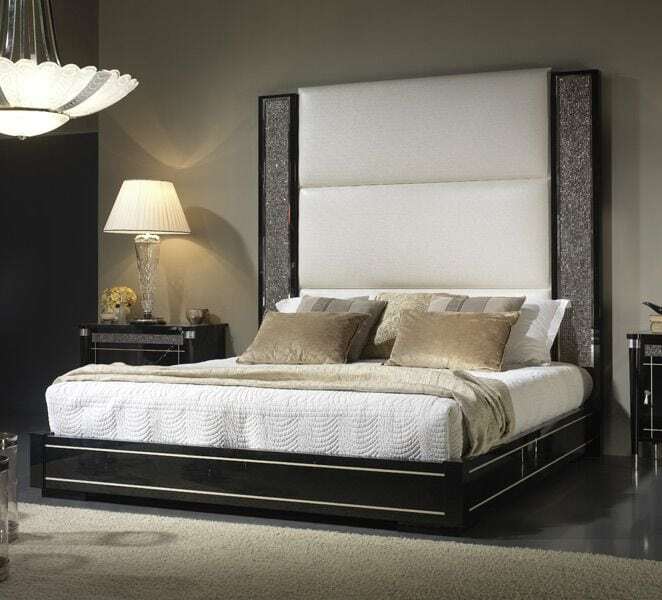 Art deco style bed with black lacquer, murano platinum glass, sycamore fillet and brass accents. Finish: Contact Us. Dimensions (WxDxH) 50081: 2160x2210x2300mm.